Finding a job search coach or career coach is a job search where you're the recruiter. These rules will guide you to hiring the best coach for you. This guest post by Job Search Coach Rita Ashley of jobsearchdebugged.com is part 3 in her 3-part series on coaching and the job search. If you’d also like to guest post here on JobMob, follow these guest post guidelines. A job search coach or career coach helps you attain your career and employment goals. While either may or may not be a certified or accredited career counselor, that distinction is not the place to begin your search for a coach. Once you have decided to spend money on a coach (and pricing is as varied as the practitioners themselves), how do you find the right coach? These rules apply for any kind of coach you might want; you vet a job search coach exactly as you'd vet any other coach. For purposes of illustration, I will use job search coach in the examples below. Assuming you know your objective – a promotion or new job – begin your search by asking people whom you respect if they have used a coach. Referrals are a good initial step but don't assume that you will find the same chemistry just because the referrer was happy with the coach. Also, your needs are probably different. It makes no sense to hire a coach who specializes in medical professionals if you are an IT executive. Does the coach have actual first hand experience in the job search world? Were they a hiring authority, recruiter or HR professional? Outsiders can't possibly fathom the nuances of an executive level job search if they have not been in the trenches. If they don't have first hand experience, this should be a deal breaker for you. I am, for example, bottom line focused and very direct. This does not work for all people. I do not hide this attribute because if someone becomes defensive or sensitive during our initial interview, we will not have a good coaching experience. To get a handle on style and priorities, ask questions and listen to how the questions are answered as much as the answers them selves. What were two of the biggest challenges you overcame on behalf of clients and how? Was there ever a challenge you couldn't overcome on behalf of a client? Please describe your process? What you are looking for here is flexibility. A cast in concrete one size fits none approach will not be the best solution. How long does this take? This is a trick question because there is no way to answer this. It is a “How high is up” question. The coach has no control over how much time you put in or the quality of that time. If they answer with a time rather than an approximation, it is a sign they are not experienced or are guessing what you want to hear. What are characteristics of your ideal client? Most of my clients hope to remain confidential and therefore are not available as references. They are willing, however, to offer testimonials. If references are provided, contact them to talk to about the coach's style and deliverables. I know of one coach whose clients say she is great at resume construction but when it came time for the real work, the networking and outreach, she simply said, “Now, go out there and network.” You need to know these things in advance to make certain your specific needs are covered. Read the testimonials to see if there is a common thread. Several of my testimonials, for instance, make it quite clear that I am direct and results-oriented. Do not engage in wishful thinking. Make a list of those things repeated in the references and see if they map to your own needs and style. Some coaches charge hourly while others charge a flat fee. There is no rhyme or reason to how coaches charge. You just have to find what works for you. Also, don't haggle over fees. Either you find value in what the coach offers or you don't. Haggling or negotiating starts the relationship on the wrong foot. Coaches research pricing before establishing their fee schedule; don't insult them with comments about the cost. If you don't feel there is value, walk away. Help the coach establish priorities that fit your needs, but listen to their advice as well. I once had a client absolutely convinced he needed to start by adding to his network. I was equally adamant he needed to start with his elevator pitch. Since I had a compelling argument, he capitulated and later thanked me. Use the rules above to narrow down your list of candidates all the while listening to your inner voice. There is much that is intangible about a good coaching relationship and the gut never lies. Searching for a coach? 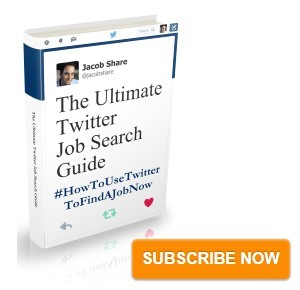 Subscribe to JobMob via RSS or email and follow me on Twitter for the best job search coach search tips. WOW. I’ve actually seen some of Rita Ashley’s stuff and her web site before. She has a great approach and a lot of good ideas. I don’t know Rita, so I won’t judge her in my comments. Let me comment in general on both getting a coach and paying for help in recruiting. In most cases, this type of money spent is money down the drain. Everyone should use mentors and people they can learn from but actually paying for services normally results in little success. I believe strongly in coaches but I have not seen one that can guarantee they will get you a job. This is not to say you won’t get results from paying but normally the price is more than the value. Let’s say you want to start running to get back in shape. Would you go out and pay $1,000 a month for a coach? Probably not. Is it worth $20 or $40 to engage a coach at the local gym for a couple of months, probably and if not it’s a minimal loss. Would you read books/magazines on running and ask friends who run, probably. The major problem with coaching is the ease of entry. Anyone can become a coach (like they can become a recruiter) Just because they have a title, doesn’t mean they know how to do the job. Some people would pay $1,000 a month for a coach. I suggest their probability of success would be directly tied to their ability and desire to compete. There are loads and loads of areas where you can get free advise and job search help. Most is community base. The majority of people would benefit greatly from this information and service, as much or more than services they have to pay for. One area you might caustiously pay for is resume writing. Even with this, there is a threshold of a reasonable price. I know two guys that do resumes for money. One charges $300 and the other $1,000. They both have a lot of customers. I can tell you the one that does it for $300 is better (in my opinion) than the $1,000 but the other guy has a great sales pitch. Quick word on Recruiters who can help in your job search with advice and coaching. Recruiters will work with good candidates in there area for free, because our customers pay us. Recruiters will not work with everyone because our time is limited. We need to work with the ones we feel we can place and the kind of individuals our clients want to hire. Last but not least, I was very interested in the free offer for Rita’s book about Linked IN for Job Search. I was disappointed when I discovered the offer had expired 7 days before this was posted! Again, some of Rita’s products and services look great and I believe there are some invaluable points in her information. What I can’t comment on is her pricing to value. I would just suggest buyer beware, in ALL cases where someone wants you to pay them for job search help. To all those frustrated with download for LinkedIn for Job Search, Please, try again. It is free and the link is fixed. Go to http://www.jobsearchdebugged.com, click on the products page and scroll down for the white paper. Best of luck on your job search…sorry for any confusion. I am especially proud of the chapters that speak about recovering from a lay off, how to vet a troubled company as a prospective employer and what people over fifty years old can do to add impact to their job search. 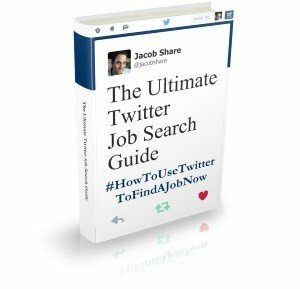 The basic advice comes from hiring authorities whom I quote which provides a true insider’s guide to job search. If I were playing football, I would want a coach. For my job search, I want an adviser.